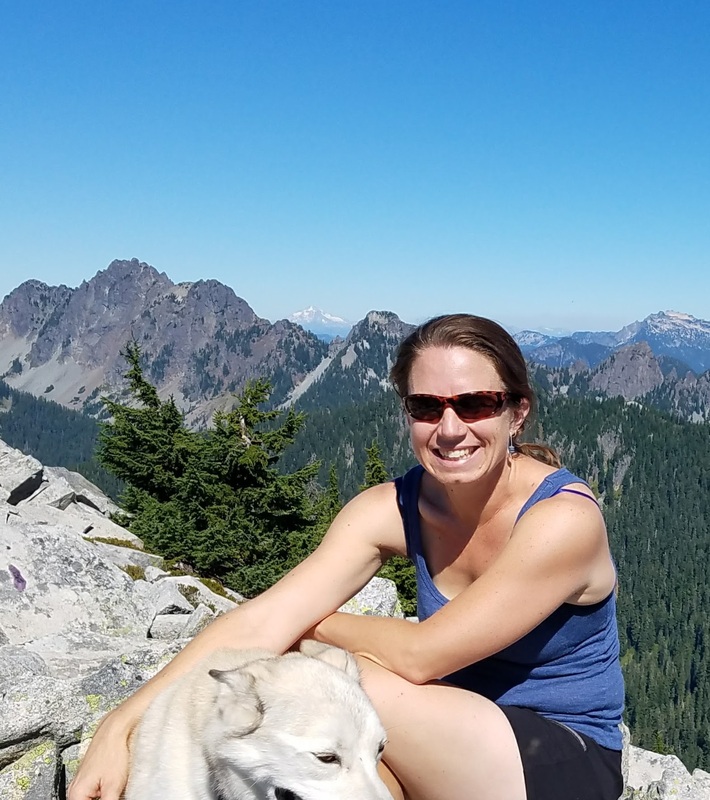 Rachael is a Water Quality Planner and Limnologist with King County, where she works on various projects involving lake and watershed management. Rachael received her MS in Freshwater Ecology from Western Washington University, where she also obtained a BS in Environmental Toxicology. Rachael’s graduate research involved spending copious hours peering into a microscope as she quantified the algal populations of 50 small lakes in northwestern Washington (it’s a good thing, then, that she enjoys peering into a microscope for hours). She spent over five years working as a research scientist at the Institute for Watershed Studies, a research facility and laboratory at WWU. During this time she led and participated in numerous projects involving lake, stream, and stormwater monitoring. Rachael enjoys exploring, taking photos, spending time with loved ones, and has a love/hate relationship with running. Jim is Associate Professor of Environmental Chemistry and Engineering at the University of Washington Tacoma. He has a B.S. from Brown University and Ph.D. in Environmental Engineering from MIT. He teaches courses in environmental chemistry, pollutant fate and transport, and limnology, as well as other classes that examine environmental contamination and resource management in the larger social and political context. His research interests are broad and include: (1) the fate and transport of metal contaminants in terrestrial and aquatic systems; (2) using bioindicator proteins in plants and animals to monitor physiological metal stress in the environment; (3) urban water management issues related to anthropogenic influences; (4) nutrient cycling in lakes; and (5) environmental science education. He believes strongly in undergraduate research as an important learning experience and a valid means of conducting scientific research. Jen Oden is a Water Quality Specialist for Snohomish County’s lake management program, working a variety of lake management issues including; volunteer water quality monitoring, lake restoration applications, aquatic plant and toxic algae issues, and citizen outreach programs. Previously, Jen has worked on NPDES related water quality programs for the County, including Stormwater monitoring, TMDL monitoring for streams, freshwater benthic macro-invertebrate monitoring, and the illicit discharge detection and elimination program. 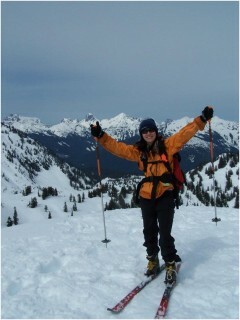 Jen has a Bachelor of Science from Oregon State University in Environmental Science. In her free time, Jen enjoys spending time with her husband and son. Siana graduated with an M.S. from the Environmental Science- Freshwater Ecology program at Western Washington University. She conducted her graduate research on phytoplankton in mountain lakes of the North Cascades under the direction of her advisor, Dr. Robin Matthews. Prior to graduate school, Siana worked for four years (2007-2011) at The Nature Conservancy in the Klamath Basin, Oregon as the water quality monitoring technician/specialist for a large wetlands restoration project on Upper Klamath Lake. She also spent three years doing seasonal field work for the National Park Service in the fisheries & aquatic sciences realm at Yellowstone, Sequoia & Kings Canyon, and Crater Lake National Parks. Siana received her B.S. in Environmental Science from the University of Oklahoma. 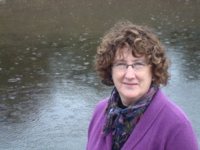 Sally Abella has had a long career in limnology and freshwater ecology, retiring in 2015 after 15 years from King County where she held a position in Water and Land Resources as the lead scientist for freshwater assessment and manager of the Lake Stewardship Program. Before that, Sally worked for 25 years as a research scientist on a long-term study of Lake Washington and its watershed. Her specialties on lake issues include water quality, shoreline effects, paleolimnology, phytoplankton community structure, and toxic cyanobacterial blooms. Other water-related investigations have included watershed contributions to lake issues, bacterial source tracking, shoreline development and consequences, and restoration actions. Sally’s other interests include canoeing and kayaking, gardening, hiking (while birding and botanizing! ), photography, and knitting socks. Darren is the president and Limnologist for Advanced-Eco-Solutions Inc. He started his company in 2010 to provide holistic lake management assessment to managers. He also specializes in addressing HABs though out Idaho, Washington, and British Columbia. Darren got his B.A.in Biology from Augustana College in Sioux Falls, South Dakota. He received his M.S. in Fish and Wildlife Management from Utah State University. 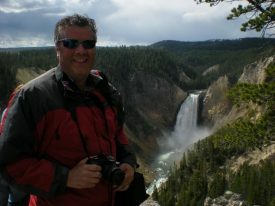 After leaving school he worked for the Idaho Department of Environmental Quality from 1993-2004. 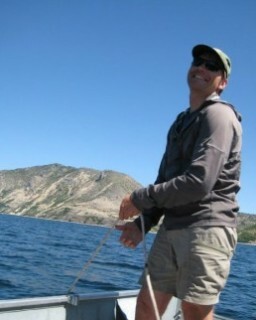 While at DEQ he helped develop the Idaho stream bioassessment protocols, TMDL program, and performed lake assessments. 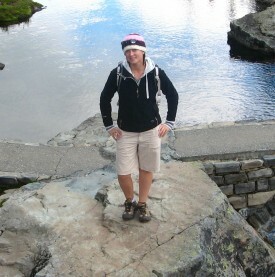 Darren enjoys spending time on lakes for work and play. If he is not on the water, he likes to hike and go on primitive camping excursions with his son. 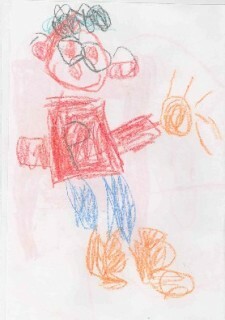 He is loves the climate and natural settings of the Pacific Northwest and plans to spend his life in this area. Tim Clark is a Water Quality Planner and Limnologist with King County’s Department of Natural Resources and Parks. He hails from the eastern foothills of Oregon’s coastal range, where he was raised on a timber tree farm. After receiving his BS in Environmental Science at Portland State University, he went on to receive a dual Master’s degree in Science and Public Affairs from Indiana University, with a focus on Water Resources. While in the state of Indiana, he monitored lakes and reservoirs and performed laboratory analysis of water samples with the Indiana Clean Lakes Program; he has also done stormwater monitoring and green stormwater infrastructure advocacy. After realizing the summers get too hot and winters get too cold in Indiana, Tim returned to his native northwest. With King County, he has worked on a variety of water quality projects, including a water quality assessment of the heavily-urbanized Lake Union. In his spare time, Tim enjoys hiking, backpacking, bicycling (commuting, long rides, and touring), playing D&D with buddies, bouldering, and going to concerts. Anthony Gabriel is a professor in the Department of Geography and the Resource Management program at Central Washington University, currently in his 21st year of full-time teaching. Born and raised in the FraserValley, B.C., Anthony has a B.A. in Geography and History from TrinityWesternUniversity, a M.S. in Geography and Regional Planning from WesternWashingtonUniversity, and a PhD in Geography from the University of Guelph. His main teaching interests are in environmental geography, including courses on resource analysis, hydrology, environmental hazards, and riparian and wetland analysis. 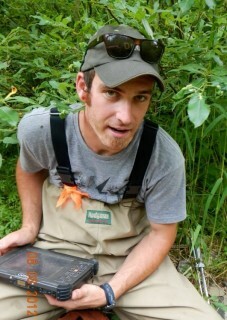 His research interests focus on developing, applying, and testing systematic techniques to evaluate restrictions and benefits in the use of biophysical systems such as lake shorelines, wetlands and watersheds. 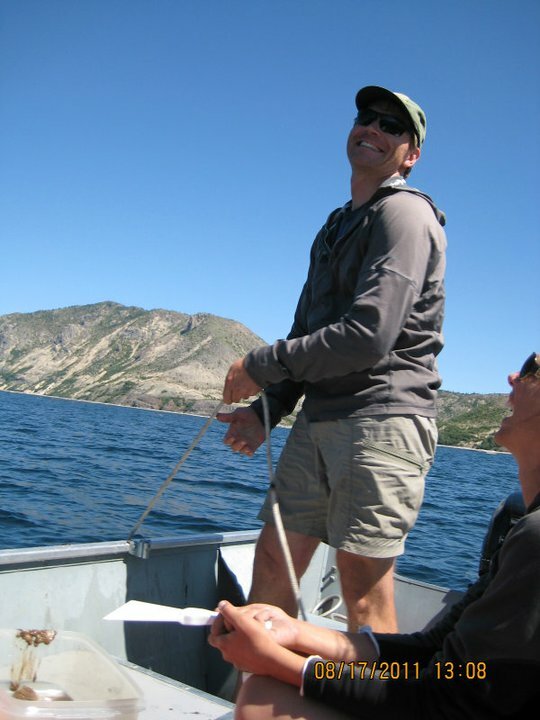 Through the Center for Spatial Information and Research and the Geo-Ecology Research Group, his research has involved a large number of undergraduate and graduate students, primarily addressing the ecological analysis and management of lake, river, and coastal ecosystems. Recent research topics have included aesthetic evaluation of shorelines, shoreline hazards and inventories, assessment of riparian wetland losses and functions, environmental controls of invasive aquatic plants, nonpoint pollution management in Washington state parks, and the ecological impacts of water level fluctuations and shoreline protection. He served on the Board of Directors of the Washington Lake Protection Association from 2002-2004. 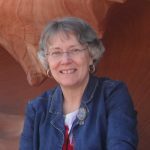 Joan Hardy has worked on toxics and toxins for the past 25 years as a toxicologist for Washington Department of Health (Health). In the 1990’s, interest in toxic cyanobacteria was increasing and Joan worked in partnership with PLU, SU, and Ecology to investigate toxins in lakes and develop outreach and education materials on harmful algal blooms (HABs). 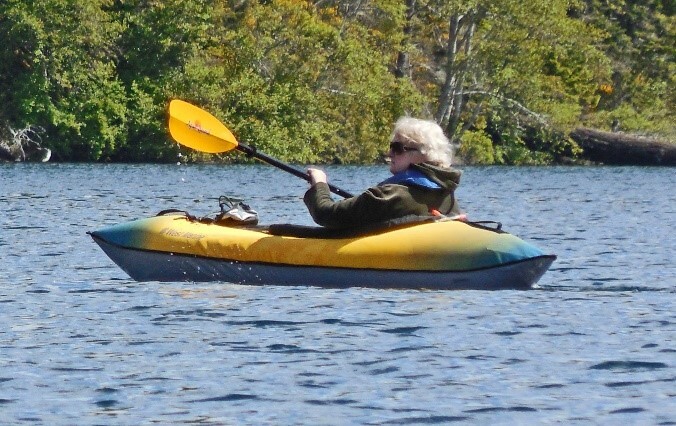 Later, Joan developed recreational standards for four freshwater biotoxins that are integrated into a lake management protocol developed by Health. Currently, she is working in partnership with WSU, OSU, and UW-Tacoma on issues associated with toxic cyanobacteria. 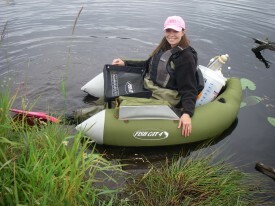 Prior to working with Health, Joan worked for two years with Ecology’s Water Quality Program, two years as a post-doctoral fellow with Fisheries and Oceans, Canada, and has a MS (Limnology) and PhD (aquatic toxicology) from the School of Fisheries and Aquatic Sciences, University of Washington. A born and raised native of Wisconsin, Jeremy grew up among thousands of lakes and forest lands. A graduate of the University of Wisconsin – Stevens Point, he received Bachelors of Science degrees in: Geographic Information Sciences, and Geoscience – Environmental Analysis. More recently, he completed a Masters of Science degree in Geography, with concentrations in Climate Change, Water Resources, and GIS modeling from the University of Idaho, in Moscow, Idaho. 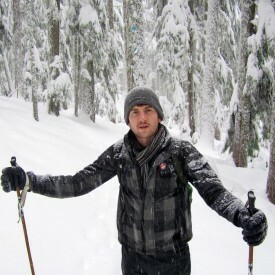 Jeremy has worked in both terrestrial and aquatic science, focusing on forest microclimates with the U.S. Forest Service, and stream surveying and lake management with the Idaho Department of Environmental Quality, in Coeur d’Alene, Idaho. Currently, he is employed by the Liberty Lake Sewer and Water District as their Lake and Water Resource Manager. Jeremy loves to explore new places with his two dogs, backpack, mountain bike, collect maps, and experience the diverse PNW lake offerings. He is very passionate about working collaboratively to find science-based solutions to our growing list of environmental issues. 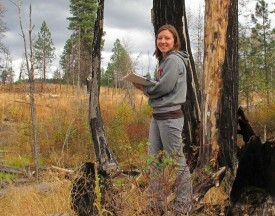 Amy is a Conservation Planner for the Okanogan Conservation District. She works with landowners and regional organizations to identify, develop and implement water quality improvement projects throughout Okanogan County. Amy has a M.S. from WSU in Natural Resource Science. Her experience includes water quality monitoring, laboratory nutrient measurement, food web assessment, plant identification and grant writing. In her free time she enjoys cooking, hiking, cross country skiing and exploring northeastern Washington. Robin Matthews is the Director of the Institute for Watershed Studie, a Professor in Huxley College of Environmental Studies at Western Washington University. Dr. Matthews received her graduate training in aquatic ecology at Indiana University (M.S.) and Virginia Polytechnic Institute (Ph.D). Her undergraduate work was done at the University of California, Riverside. 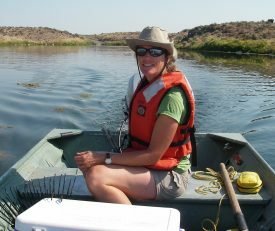 Her major research areas include freshwater ecology, algal taxonomy, and multivariate analysis of large ecological data sets. Dr. Matthews has published and presented over 100 journal articles, reports, and conference papers, and has written two guides to freshwater algae (Cyanobacteria and Chlorophyta/Rhodophyta). 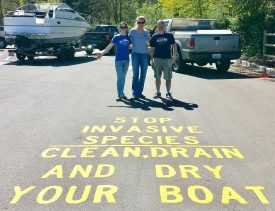 She is the principal investigator on the Lake Whatcom monitoring program funded by the City of Bellingham, and has produced annual water quality reports for this project since 1991. Jennifer has a BS in biology from Boise State University and an MS in aquatic ecology from Western Washington University. She has worked as an aquatic plant specialist for the Washington Department of Ecology since 1994. Duties with that position include monitoring aquatic plant and weed populations in lakes and large rivers throughout the state and conducting research on the effectiveness of various aquatic weed control methods. Lizbeth Seebacher has an M.S. and Ph.D. in estuarine and freshwater wetland restoration and invasive species biology. She leads numerous workshops and trainings in invasive species biology and species identification for the general public. She has worked for Sustainable Conservation developing a Plant Risk Assessment model and the Army Corps of Engineers as a Wetland Biologist. Currently, she works for the Washington State Department of Ecology as a Wetland and Aquatic Biologist where she manages two independent programs on aquatic invasive plants and freshwater algae. She is a board member for the Society of Wetland Scientist, the Washington Invasive Species Council and the PNW Invasive Plant Council. Avery Shinneman is a lecturer in the School of Interdisciplinary Arts and Sciences at the University of Washington, Bothell campus. Originally from the land of 10,000 lakes (Minnesota), Avery has a B.A. in Geology and Environmental Studies from Macalester College, and a PhD in Geology from the University of Minnesota where she worked at the UMN Limnological Research Center. Her teaching is focused on getting students to explore landscapes and environmental changes, particularly around freshwater, through fieldwork and community-based research. Her research interests focus on using paleolimnology and biotic indices to examine environmental change over time. Her favorite place to be is in a canoe, with anywhere accessible by skis a close second.